On Scene: ALERT: Pre-Season Job Shirt Sale! ALERT: Pre-Season Job Shirt Sale! It's hard to believe that Fall is just around the corner. That's why, TheFireStore is offering a Pre-Season Job Shirt sale! 15% OFF all Job Shirts! Just use promo code JOBME at checkout. PLUS! For a limited time, get a USA Flag Velcro Patch when you buy a 5.11 Water-Repellent Storm Fleece Job Shirt! 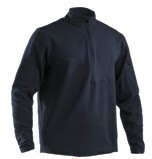 Check out the Storm Fleece Job Shirt, and an awesome video of our CEO testing it out! 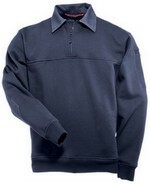 Shop our LARGE selection of Job Shirts Today, and stock up while the savings are still warm! 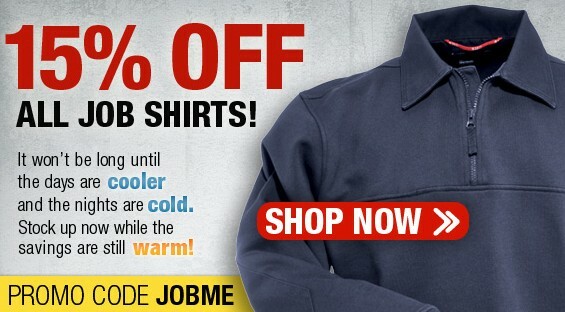 **You MUST enter promo code JOBME to save 15% on job shirts. Discount will not be applied unless promo code is entered on the cart page. Clicking on refresh cart button will calculate and display your savings. Offer ends at 11:59 AM EDT on 8/14/2012 OR while supplies last.